Diese Spezialnähmaschine 204-370 mit großem Barrelschiff-Greifer wurde speziell für die Verarbeitung von extremen Nähgut- und Nähgarnstärken konstruiert. Insbesondere im Schwernähbereich zeichnet sich diese Nähmaschine durch ihre Robustheit aus. Dazu zählen unter anderem: Stepp- und Biesennähte an Schuhen und Lederwaren, die Fertigung von Technischen Textilien, sowie spezielle Näharbeiten bei der Verarbeitung von Leder im Objekt- und Wohnpolsterbereich. Diese Sattlernähmaschine 7243 mit großem Barrelschiff-Greifer wurde speziell für die Verarbeitung von extremen Nähgut- und Nähgarnstärken konstruiert. Insbesondere im Schwernähbereich zeichnet sich diese Nähmaschine durch ihre Robustheit aus. Dazu zählen unter anderem: Stepp- und Biesennähte an Zurr- und Lastengurten, Schuhen und Lederwaren, die Fertigung von Technischen Textilien, sowie spezielle Näharbeiten bei der Verarbeitung von Leder im Objekt- und Wohnpolsterbereich. Durch den 220V Elektronikmotor ist eine automatische Nadelpositionierung (hoch/tief-Stellung) und somit eine exakte Nahtführung auch bei vielen Stops (z.B. beim Nachfassen oder an Ecken) möglich. Durch den Elektronikmotor wird die Maschine leicht bedienbar, auch für ungeübte Bediener. 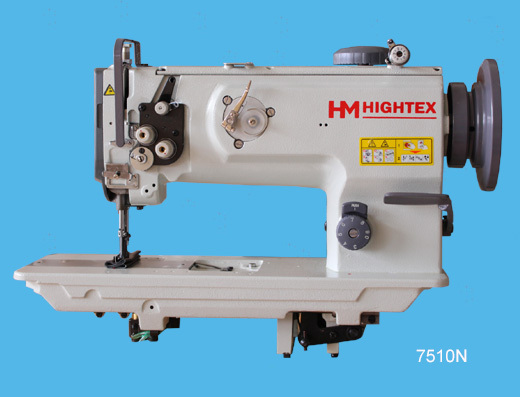 So ist zum Beispiel ein sehr sanftes Anfahren der Maschine oder auch ein Stich-für-Stich-Nähen mit dieser Maschine möglich.. 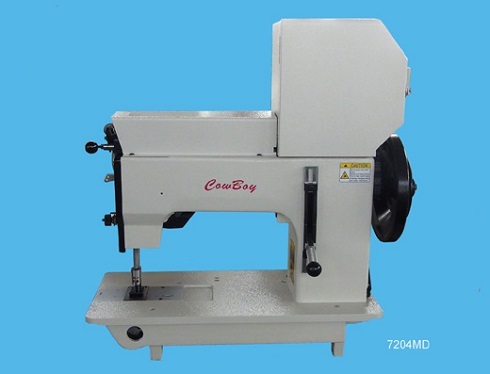 Features: High sewing speed up to 1600 RPM; With its strong top and bottom feed mechanism, the machine insures the smooth feeding of hard-to-feed materials or multilayered sections of materials to achieve consistent seam quality that is free from irregular stitch pitches; The presser foot has an extra high lift and can go up to 18mm, allowing for a large range of extra heavy weight material to be used; The automatic lubricating mechanism dramatically improves maintainability of the machine. 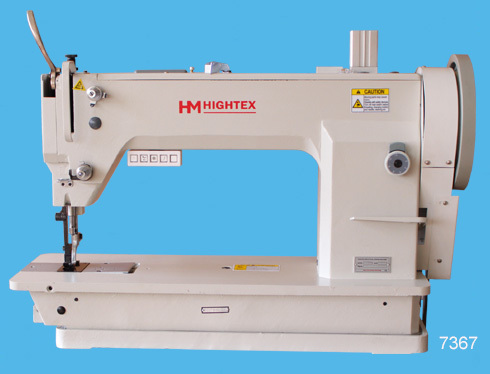 Equipped with largest horizontal axis hook and extra large capacity bobbin (3 times); Its features a "free sewing" capability that allows the operator to sew in any direction, allows effective jobs for belt attaching on a container bag, enforcement belt sewing, sling belt , large size parts sewing and so on. 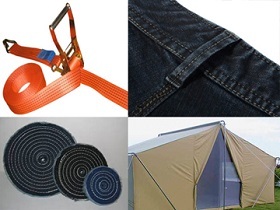 Applications: webbing slings, lifting straps, ratchet lashing straps, jumbo bags, Big Bag, container bags (FIBC), saddles, harnesses, horse rugs, carpets, buffing wheels, jeans, sails, luggage, tents, awnings, parachute, car upholstery, boat trimmer, bouncy castle, boat covers, shoes, footwear and general canvas work etc. 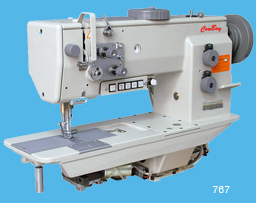 Features: Base on 20 years of manufacturing and marketing experience, the third-generation inexpensive industrial sewing machine comes with robust construction and proven reliability; The presser foot has an extra high lift and can go up to 20mm, allowing for a large range of extra heavy weight material to be used; The optimized threading and dual thread tensioners assure constantly tight stitch formation and stitch balance (between needle thread and bobbin thread) even changing the thickness of materials; This Hi-Power sewing machine comes with extra strong needle penetration force and extraction force, is capable of stitching various synthetic materials; Very thick thread including 1500Dx3 high tenacity polyester yarn for lifting slings; The modified alternating presser feet (teeth type walking foot) and drop feeding mechanism assures uniform stitching even sew with multiple layers of dense, thick, or slippery material; The Long Beak Barrel shuttle hook greatly facilitates timing adjustment, eliminate skipped stitch and damage thread; This user-friendly operation of this sewing machine gives you ease of use, no skilled operator required; With strong servo motor (Powerful + Quiet + Accurate Speed Control, different from so call "Energy Saving Servo Motor"or "Power Saving Servo Motor" in the market. 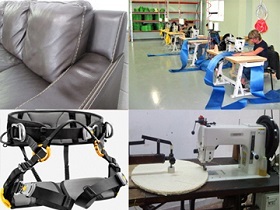 Applications: this inexpensive industrial sewing machine is ideal for many heavy weight sewing applications, such as heavy duty lifting slings, cargo lashing straps and safety harness, Ratchet Tie Down straps, leather sofas, leather armchair, safety harness for work at height, Japanese Tatami mats, military equipment, backpacks, crane slings, lanyards, spanzet, safety belts and sails corner patch. Nähmaschine für extreme Stepparbeiten z.B. für Sicherheitsgurte, Big Bag, Filter, Zelte und Planen etc. 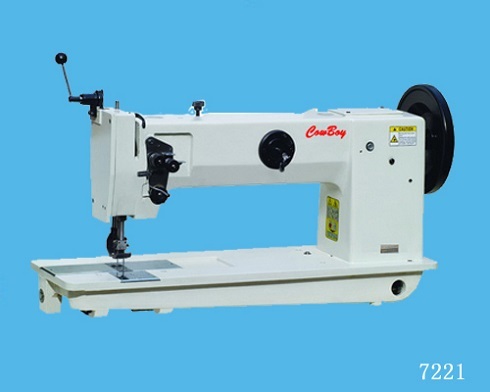 Features: The unbeatable price is affordable by any factory owner and one-man workshop. 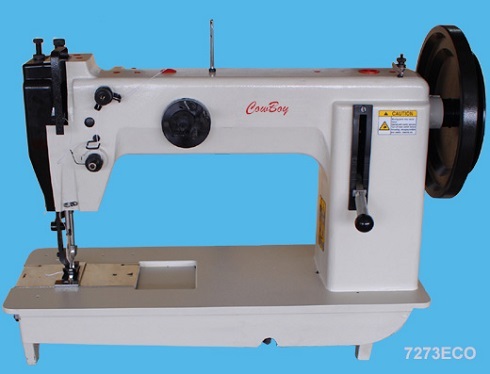 The lowest cost industrial sewing machine can cut your budget to 1/3 even more; The presser foot has an ultra high lift of up to 32mm, allowing for a large range of extra heavy weight material or bulky items to be used, such as Nylon, Polyester, Polypropylene, Webbing, Kevlar, Vinyl, Leather and Canvas; The walking foot action is driven and combines with the powerful bottom feed to produce a positive feeding motion for extra heavy use; Two row feeder (model 7273ECO: feed dog with double row of teeth, for better feeding) is available as option if the thickness of your material less on inches; The most "User Friendly" sewing machine for manufacturers of synthetic slings, straps, belts, harnesses and webbing! 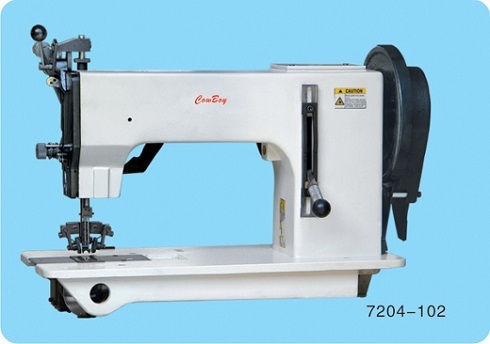 It is an ideal replacement of Consew 733R-5, Seiko SLH-2B, Adler 120 and Singer 733 class; With strong servo motor (Powerful + Quiet + Accurate Speed Control, different from so call "Energy Saving Servo Motor"or "Power Saving Servo Motor" in the market. 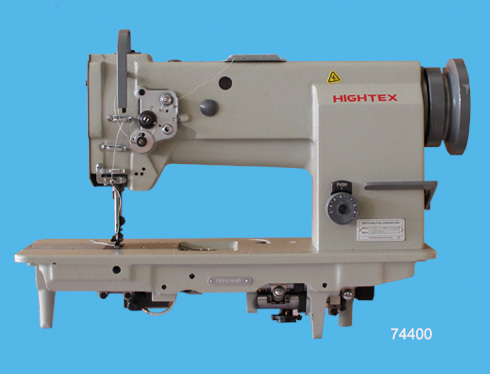 Features: Produce 14 different ornamental stitches due to its rotary needle bar; Extra large Barrel shuttle hook and bobbin capacity offers high efficiency even sewing with extra thick thread (V364 or 1100dx3 or braided thread up to 1.4mm); The custom-made compensating roller presser foot is particular for stitching corners, hard butted/overlapped seams, extra heavy padded & non padded leather and upholstery fabrics; Pneumatic seam center guide guarantees perfect seam quality; Cord insert is avaialbe (insert cord or rope inside seam); This machine can replace Durkopp Adler 204-102 MD and Ciucani X86/204 C.
Application: leather sofas, fabric sofas, automotive upholstery/car interiors, jeans, fashion bags, high end leather handbags, tents, footwear, shoes uppers, saddles, suitcases, sunshades, toys and decorative stitching in upholstered furniture industry. 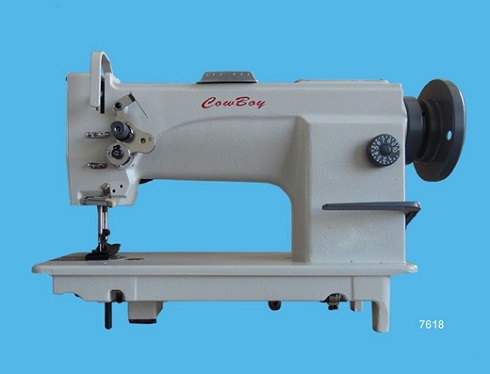 Features: This heavy duty two needle leather sewing machine can process thick sewing threads up to Nm 8/3 or braided thread up to a thickness of 1.2 mm can be processed due to the Adler 204 type large Barrel shuttle hook; Up to 12 mm long stitches for decorative topstitching seams, Normal moccasin stitch or cord-insert moccasin stitch; Roller presser foot (standard) and flat presser foot are available for different sewing operations; Different needle gauges (7.5mm, 6.35mm and 5.5mm) are available, even 9.5mm needle gauge set (specially for furniturenindustry); With strong servo motor (Powerful + Quiet + Accurate Speed Control, different from so call "Energy Saving Servo Motor"or "Power Saving Servo Motor" in the market. 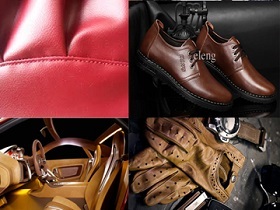 Applications: shoes uppers, footwear, leather sofas and furniture, marine upholstery, luggage, suitcases, leather bags, canvas, backpacks, automotive trim as well as heavy fabric, such as jeans, sunshade, tents and fabric sofas. 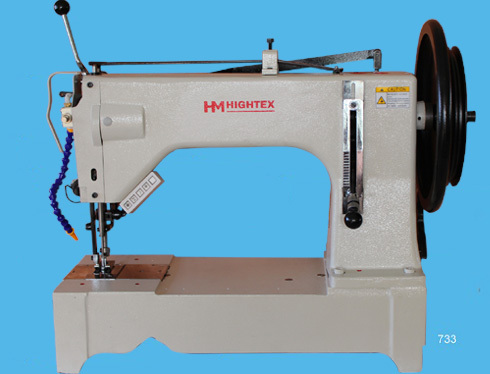 Features: For sewing extra heavy weight materials such as fabric, plastic, leather, webbing, fiberglass, Kevlar, rubber; Compound feed and walking foot mechanism assures even feeding of materials; Can sew with very thick thread due to its extra large vertical axis hook; Front tape guide is available for double stitch with under tape strengthening, saddle stitch and topstitch; Piping cord insert is available; Different ornamental stitches (728MD) on heavy weight padded and non padded materials; 20 inch longer arm version is available; With strong servo motor (Powerful + Quiet + Accurate Speed Control, different from so call "Energy Saving Servo Motor"or "Power Saving Servo Motor" in the market. 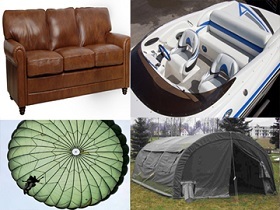 Applications: sofas and furniture, automotive upholstery/car interiors, marine upholstery, shoe uppers, handbags, jeans, tarpaulins, covers, awnings, tents, umbrellas, luggage, travelware accessories, sports and camping equipment, wearing apparel, outdoor clothing, footwear, foundation garments and orthopedic appliances. 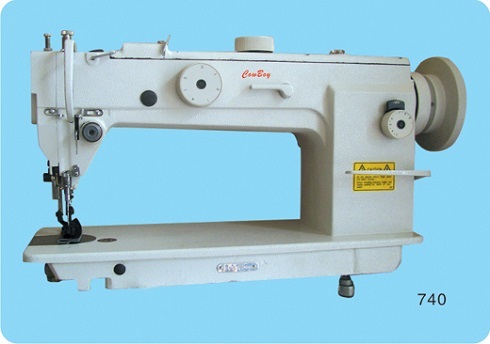 Features: The presser foot lift is up to 20mm, the sewing speed is 150% of shuttle hook type machine (like Adler 204); Triple feeding system enables you to sew multiple ply of heavy weight materials with an even stitch. 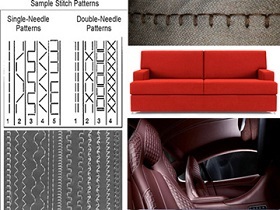 Extreme sturdy design guarantee excellent & uniformly stitch pattern, even sewing extra heavy materials with thick thread. 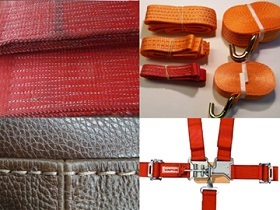 Applications: furniture upholstery, leather, sofa, car seat, cushion, air bag, container bags, wide textile lifting slings & cargo lashing strap, safety belts & harness, sails, tents, awnings, canopies, military parachutes, crane slings, spray hood, carpets, luggage, industrial safety products, construction barriers, field covers, divider curtains, protective clothes etc. Nähmaschine zum Verarbeiten von mittelschweren Materialien wie z.B. Wohn- und Autopolster, Lederbekleidung, Lederwaren usw. sowie für alle Arbeiten in der handwerklichen und industriellen Polsterei und Sattlerei. Durch den 220V Servo-Elektronikmotor ist eine automatische Nadelpositionierung (hoch/tief-Stellung) und somit eine exakte Nahtführung auch bei vielen Stops (z.B. beim Nachfassen oder an Ecken) möglich. Durch den Servo-Elektronikmotor wird die Maschine leicht bedienbar, auch für ungeübte Bediener. 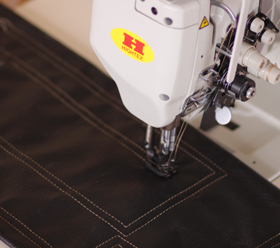 So ist zum Beispiel ein sehr sanftes Anfahren der Maschine oder auch ein Stich-für-Stich-Nähen mit dieser Maschine möglich. Hohe Durchzugskraft durch Obertransport mit alternierenden Füßen. Nähmaschine zum Verarbeiten von mittelschweren Materialien wie z.B. 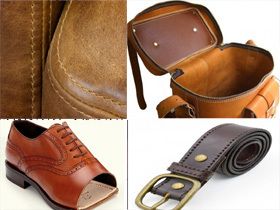 Wohn- und Autopolster, Bekleidung aus Leder und andere Lederwaren wie Taschen usw. sowie für alle Arbeiten in der handwerklichen und industriellen Polsterei und Sattlerei. Die Maschine hat einen vergrößerten Armdurchgang von 27cm und bietet daher mehr Arbeitsraum auch wenn größere Teile genäht werden sollen. 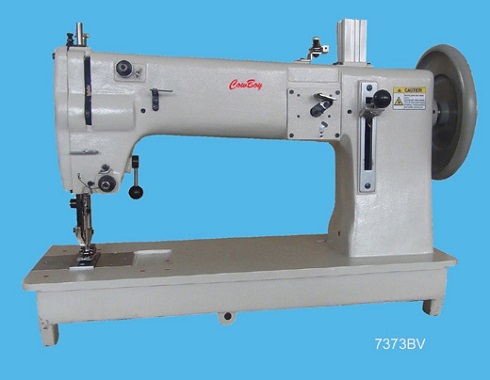 Dennoch ist diese Nähmaschine ein Basismaschine und stellt somit die Vorstufe zu einer Langarm-Nähmaschine dar. Die Maschine hat in ihrer Basis-Version keine weiteren nicht benötigten Ausstattungsmerkmale, was sie in Ihrem Preis besonders günstig macht. Durch den 220V Servo-Elektronikmotor ist sehr sanftes Anfahren der Maschine oder auch ein Stich-für-Stich-Nähen mit dieser Maschine möglich. Durch den 220V Servo-Elektronikmotor ist eine automatische Nadelpositionierung (hoch/tief-Stellung) und somit eine exakte Nahtführung auch bei vielen Stops (z.B. beim Nachfassen oder an Ecken) möglich. 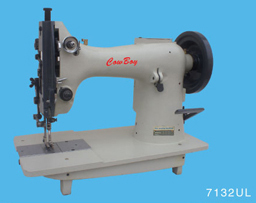 Features: It is universal upholstery sewing machine in the manufacture & topstitching of high-end house hold upholstery, car upholstery, leather goods, seats, filters, technical textiles, plastic & laminated products; Its heavy duty combined triple feeding action by way of: bottom feed, needle feed and walking foot top feed, guarantees effective handling of medium to heavy weight materials, leather and fabrics etc; Excellent climbing properties and high needle penetration power guarantee easy sewing thick spots or cross seams, without skipped stitch, loosing bottom thread and shorten stitch length. 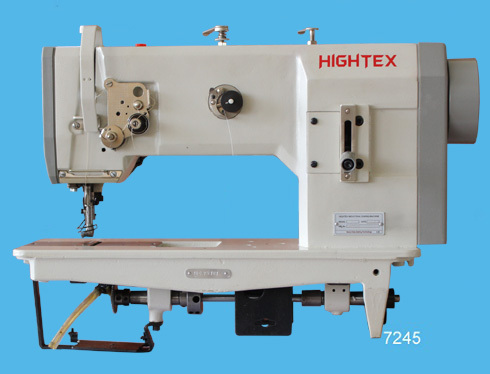 Diese Industrienähmaschine aus dem Hause Hightex ist zum Verarbeiten von allen mittelschweren Materialien wie z.B. Wohn- und Autopolster, Lederbekleidung, Lederwaren usw. sowie für alle Arbeiten in der handwerklichen und industriellen Polsterei und Sattlerei geeignet. Durch den 220V Servo-Elektronikmotor ist sehr sanftes Anfahren der Maschine oder auch ein Stich-für-Stich-Nähen mit dieser Maschine möglich. Durch den 220V Servo-Elektronikmotor ist eine automatische Nadelpositionierung (hoch/tief-Stellung) und somit eine exakte Nahtführung auch bei vielen Stops (z.B. beim Nachfassen oder an Ecken) möglich. Die Firma Nähmaschinen Stützer bietet zudem eine optimale Einrichtung und Einweisung auf Ihre Nähaufgabe. 1-Nadel Industrienähmaschine für alle Stepparbeiten an Sitz- oder Lehnenteilen im Automobil- oder Wohnpolsterbereich oder bei der Fertigung von Planen. Auch können sehr gut Gurte oder ähnliche Dinge vernäht werden. Mit ihrem starken 3-fach Transport ist diese Nähmaschine ideal geeignet zum Übersteppen von Quernähten oder anderen mehrlagigen Teilen. 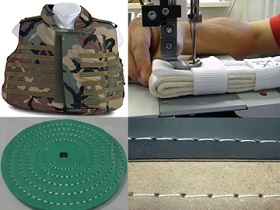 Diese Industrienähmaschine findet häufig Anwendung in der handwerklichen Polsterwerkstatt bei Wohnpolsterarbeiten, Automobilpolstern oder bei der Verarbeitung von Sicherheitsgurten, Fallschirmen, Segel oder anderen technischen Textilien. 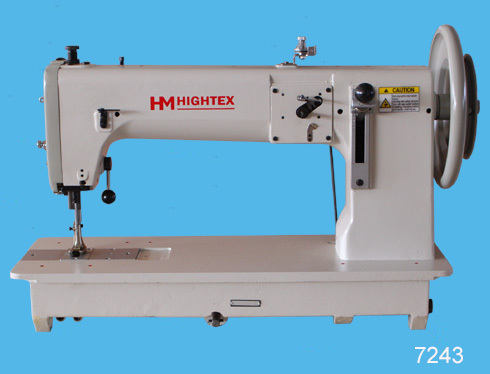 Features: It features a top feed walking foot and bottom feed system that is suitable to sew medium & heavy weight materials such as leather, synthetics, canvas, plastics, webbing, upholstery, tarpaulin + heavier than normal standard fabrics; The sewing arm is higher & 30% longer* than most standard machines: allowing additional sewing clearance for larger heavy items; The fitting of a large hook & base as standard, reduces the number of bobbin changes and helps when using the thicker threads associated with heavier materials; The top mounted adjusting dial allows for greater versatility, with the operator able to easily set the top feed walking foot to suit a particular application. 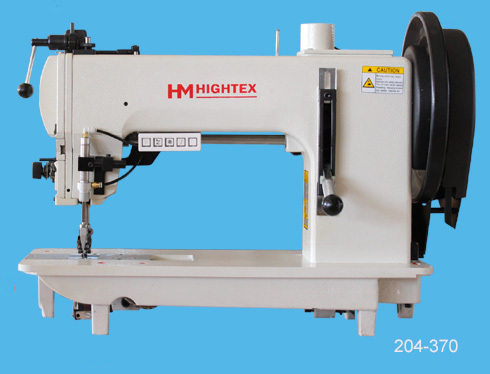 This is useful for operators who often switch between materials, applications and thicknesses etc; With strong servo motor (Powerful + Quiet + Accurate Speed Control, different from so call "Energy Saving Servo Motor"or "Power Saving Servo Motor" in the market. 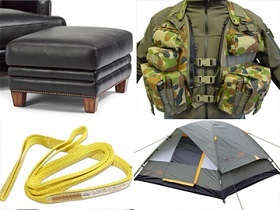 Applications: home upholstery, leather bags, suitcases, soft luggage, cushions, tents, awnings, jeans, travel bag, rucksack, day sailing, cotton sails, spray hoods, covers, interior & exterior boat upholstery and general canvas work. 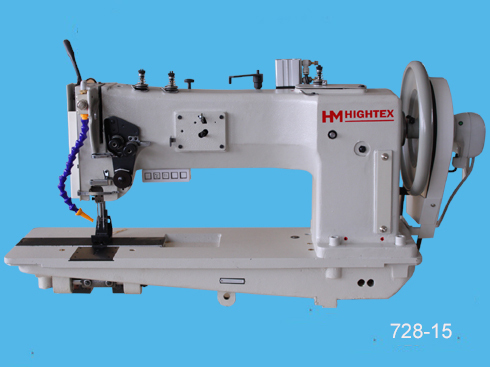 Features: Equipped with one of largest horizontal axis hook and extra large capacity bobbin for use with heavy weight materials & thick sewing thread; Heavy duty upper (alternating presser feet) and lower feeding mechanism ensures even feeding of materials being sewn; This machine has a reverse feed mechanism for backtacking and locking in the beginning and ending seams; The machine will stitch to a combined compressed capacity of up to 5/8" of an inch of upholstery fabric or leather and has a presser foot lift up to 7/8"; Ideal updated replacement for the old Singer 132K6; With strong servo motor (Powerful + Quiet + Accurate Speed Control, different from so call "Energy Saving Servo Motor"or "Power Saving Servo Motor" in the market. 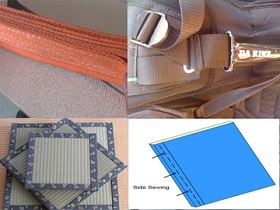 Applications: saddles, harnesses, horse rugs, carpets, polyester lifting slings & cargo lashing strap (Ratchet Tie Down), nets, webbing, tack, belts, sheets, spanzet, safety belts, buffing wheels, container bags, jeans, sails, luggage, traveling bags, tents, awnings, seats, car upholstery, boat trimmer, bouncy castle, boat covers, shoes, footwear and general canvas work etc.